This classic and colourful Chalkboard Panel will be used by children to scribble, draw and write on. Children may share their thoughts, write down their current emotions or draw something exciting that they have seen in the wild. 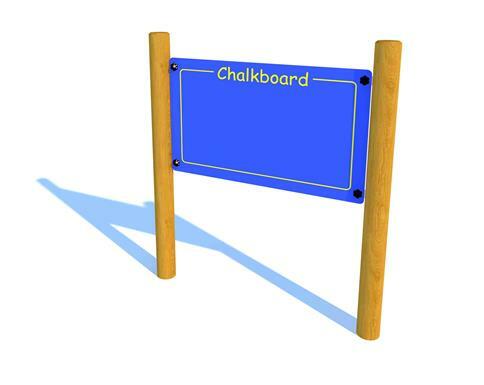 The classic chalkboard can seem more inspiring outdoors and can really rejuvenate children's creative writing and drawing. This large chalkboard even enables children to collaborate together on the same art piece and also offers itself for PSED as children learn the importance of sharing an turn taking.